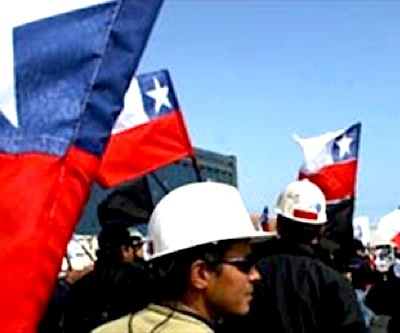 The umbrella union for workers at Chilean state miner Codelco called its members Monday (in Spanish) to vote in favour of a stoppage at all units of the world's largest copper producer. Following an extraordinary assembly on Friday, the group said it would hold separate assemblies with each production unit to discuss details of a 24-hour work strike to happen sometime before early April. The coalition, which represents more than 20 unions at Codelco, said workers are displeased with the firm’s management. The company, owner of over 11% of the world's copper reserves, was hit by a one-day strike in July 2011 that cost it $40 million. The workers threat is only one of the challenges the miner is facing these days, as prices for the red metal have been low, plummeting to their lowest level in four months Monday. The commodity was reacting to Cyprus's controversial bailout plans, which sparked fears about Europe’s economic growth and shook investor confidence in the region's ability to stem the spread of its debt problems.